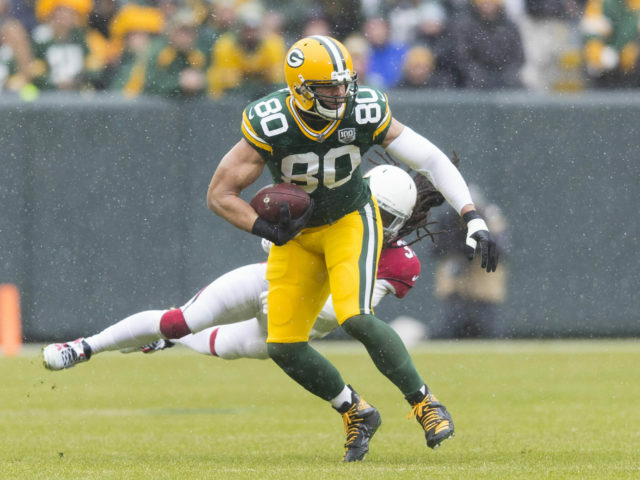 According to NFL Network’s Ian Rapoport, the Packers are expected to bring back tight end Jimmy Graham for another season. The 32-year-old veteran signed a three-year contract prior to the 2018 season which gave Green Bay an easy out after one year. 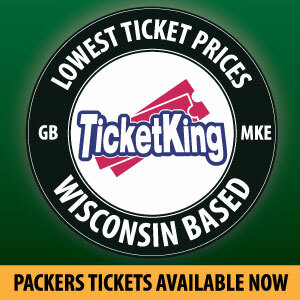 If the Packers cut Graham before March 15th they would save $5.3 million towards their salary cap. Instead, it seems they expect more from the former All-Pro under new head coach Matt LaFleur. Graham had 55 catches for 636 yards and just two touchdowns last season after hauling in 10 touchdowns in 2017. The Packers had lacked a big play tight end for some time before Graham showed up but his contribution was underwhelming. He and Aaron Rodgers didn’t form much of a connection seeing that the aging tight end appeared to have lost a step and Rodgers dealt with injuries pretty much the entire year. Graham’s sluggish route running and next to nothing contribution as a blocker made us believe his time in Green Bay might be up after one season. The Packers offense struggled mightily in 2018, especially in finding big plays over the middle. Something that used to be Graham’s specialty. However, with tight ends Lance Kendricks and Marcedes Lewis set to hit free agency in March that may have pushed the team to retain Graham. Without him, the only tight end under contract would have been Robert Tonyan who played only 67 snaps on offense last season. LaFleur’s presence certainly factored into the equation as well as he installs a new offense. Former Green Bay head coach Mike McCarthy never emphasized tight end’s in his system so there’s a reason to believe Graham may play a larger role in 2019. Fans would probably be happy with anything more than what he provided in his first season with the Packers. This entry was posted in Brandon Carwile, Packers 2018-2019 Season, Packers News and tagged Green Bay Packers, Jimmy Graham. Bookmark the permalink.